If you own or manage a small business it is your responsibility to grow and build value in your company. Regular staff training and workshops are an excellent and often overlooked investment of time that will pay great dividends. Many business owners have big goals and dreams, and they know the “secret” to make dreams a reality. Provide a workshop and teach your staff to dream big and how to make dreams come true. Empowering your staff will enrich their personal lives and will equip them to be significant players in reaching the big dreams you have for the company. 1. Focus more time and energy on the achieving your dream. 2. Set specific goals and objectives. Each staff member’s assignment is to write down 50 things they want or goals, pertaining to their jobs and our company. Bring your written list to next week’s meeting. The list will be used in an upcoming project. 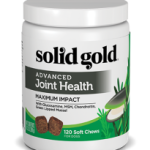 Solid Gold Northland Health Products For Pets, Inc. 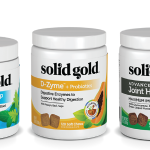 Since 1995, Solid Gold Northland, Inc. has been a wholesale distributor providing natural pet products and personalized customer service to retailers and professionals throughout the Midwest. We specialize in natural, holistic, highly respected pet product brands that will make a positive impact on both pet health and the health of your pet business.